As a thank you gift to Mr. Terpstra for speaking for us at Talking Points we got him a T-Shirt that, as you can see, says “Read More Books”. 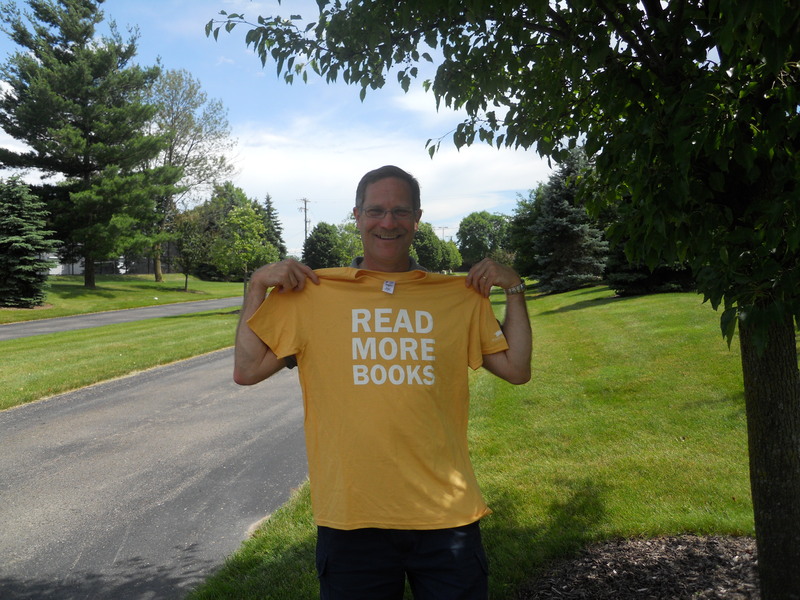 Since his slogan for his blog is “read more and read better” we thought this shirt would be perfect for him. Last week Mr. Terpstra posted some kind comments as well as an outline for his speech on his blog. You can find that here. Also, we are putting the audio up for those who could not make it and for those out of state and country. (click here for audio). Apologies once again for the audio this time as it is a little rough. One last thing not related to Talking Points. We would like to welcome Abby DeVries to our staff of writers! Also details for the Bike Hike on July 20 should be up in a couple of days.